Update on today's events (4/16) Varsity Golf and Varsity Tennis matches are cancelled for today. Team pictures will take place in the HS gym at their scheduled time. Update on today's events - Varsity Baseball and Varsity Softball WILL be playing tonight in Birch Run. The rest of our events - JV Soccer, Varsity Soccer, Varsity Golf and JV Baseball have all been cancelled. 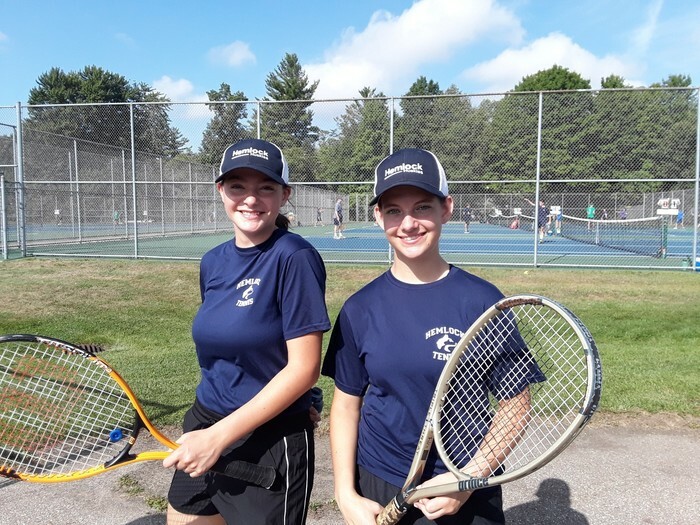 Good luck to our girls tennis team today! They are staying out of the weather and playing inside at the Midland Tennis Center for the Heritage Jim Teal Invite. Play starts at 8am. Due to poor weather conditions today, the Varsity Baseball, JV Baseball and Varsity Softball games have all been cancelled. Today's events - Varsity Girls Soccer vs. Valley Lutheran at 4:30pm, V Golf @ Pine River CC - 4pm and Varsity Girls Tennis vs. Garber - 5pm. Go Huskies! 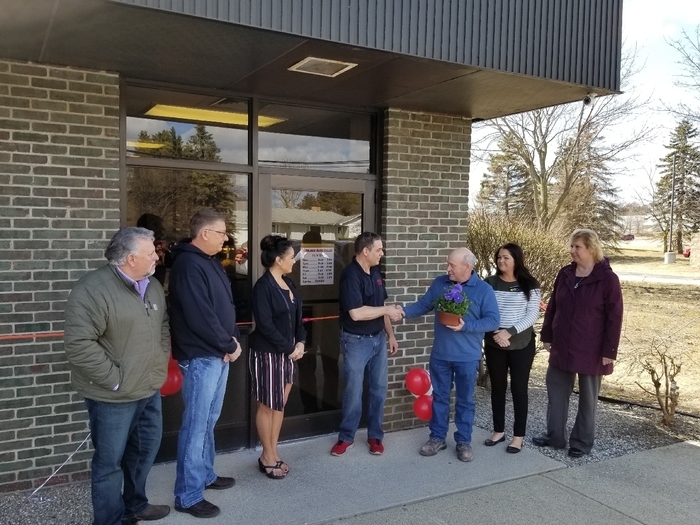 Hemlock High School would like to welcome 2 new businesses to our community. 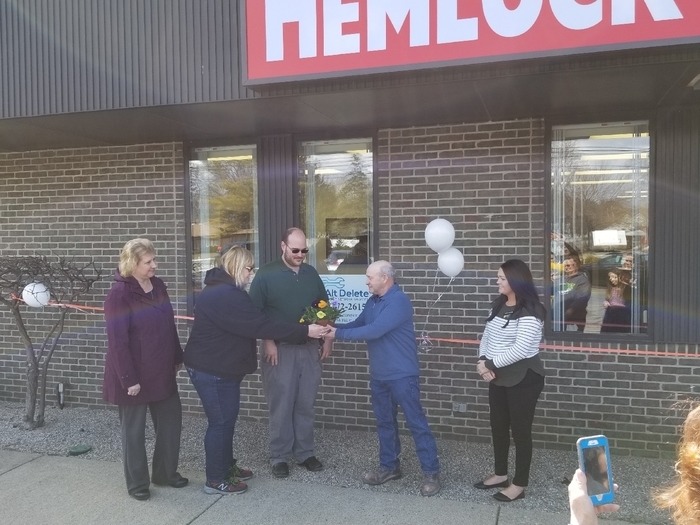 Hemlock Auto Sales and Control Alt Delete. Spring sports begin today! Come check out the Varsity Baseball team take on Reese in their home opener at 4pm. 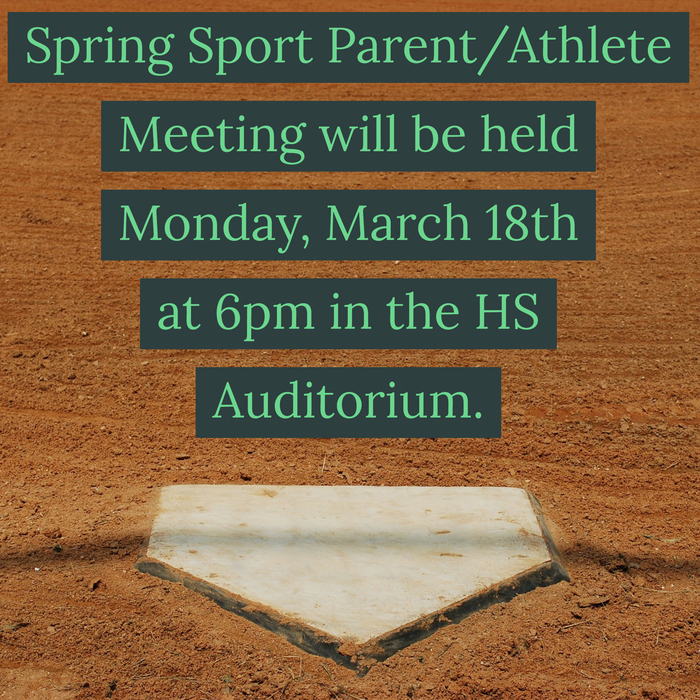 The spring sport parent/athlete meeting is right around the corner! Please join us on Monday, March 18th at 6pm in the high school auditorium. We will be discussing keys points from the Athletic Handbook with a *NEW* presentation and video, then we will break you into your specific sports to meet your coach. It should last approximately one hour. It is HIGHLY encouraged that you come to this meeting. We look forward to seeing you there and GO HUSKIES! 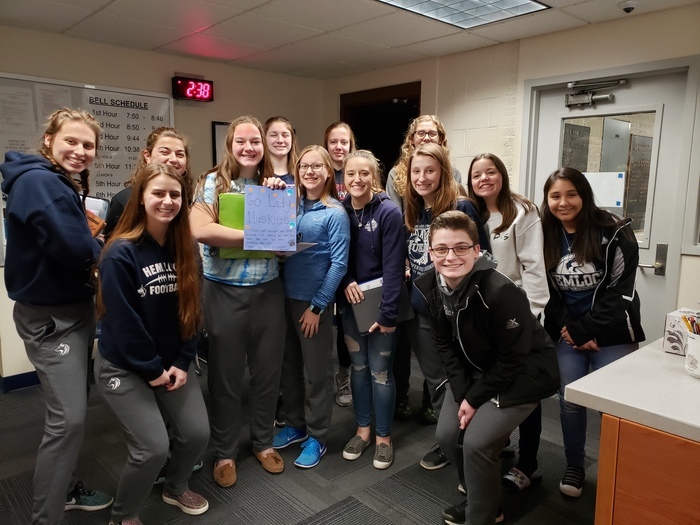 The Young 5's classes made a card special for our Varsity Girls Basketball team to wish them luck tonight at the Regional Final. Go Huskies! 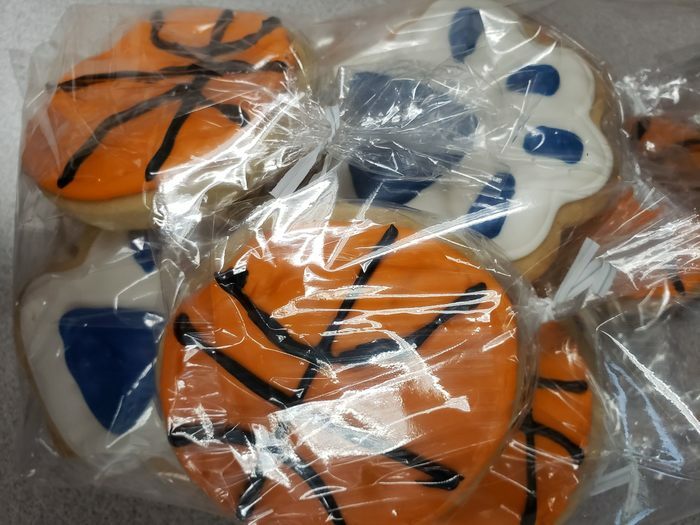 Good luck to our girls basketball team in the district final tonight at Breckenridge! The game starts at 7pm. 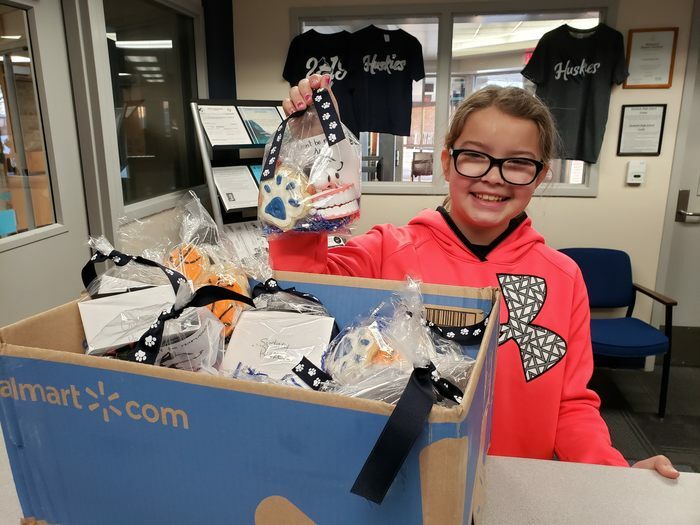 To wish them good luck, a couple of youth basketball players - Riley & Savannah Church made the team bags full of goodies. The team was really excited to receive them this morning. I am sure it will give them the push they need tonight to bring home the title! Go huskies! It's not too late!!! Don't forget to register for spring ball! Registration is open until Feb. 23rd. 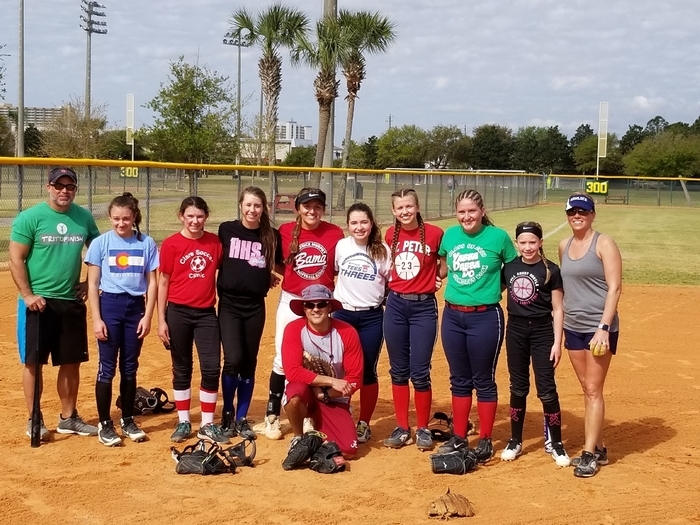 www.hemlockyouthbaseballandsoftball.com Open for ages 4-15. Age requirements for boys is as of August 31st and January 1st for girls. 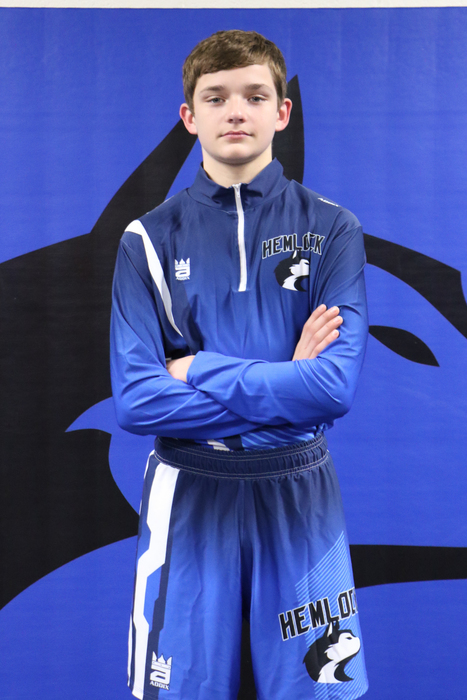 Good luck to Jeremy Wazny & Josh Collins at the Individual Wrestling Regional that will take place this Saturday, February 16th at Belding HS beginning at 9:30am. Today is the day! 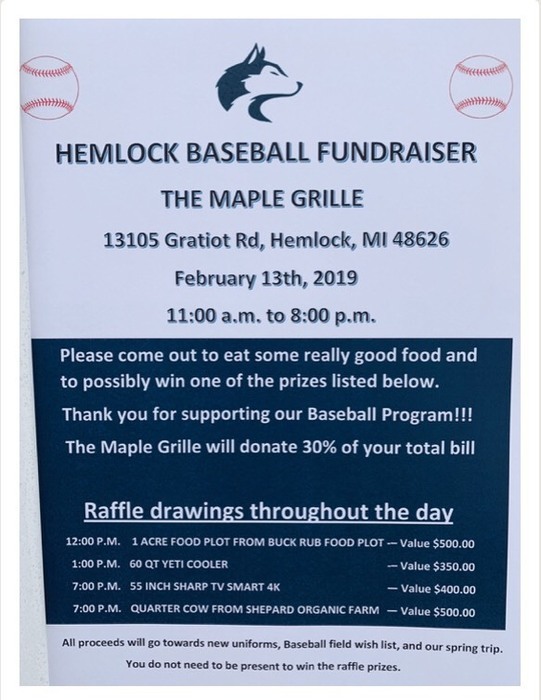 Come on out to the Maple Grille for the Hemlock Baseball Fundraiser. The SAT and PSAT tests are coming in April. Are you ready? Do you know how you have done previously? Have you been utilizing KAHN Academy? Good luck to our Varsity Wrestling Team tonight! They are heading to Ithaca for the Team District. Matches begin at 6pm. The Snowball Dance that was scheduled for this Saturday, February 9th has been cancelled due to lack of interest. Varsity Wrestling Team District @ Ithaca has been rescheduled again. It is now scheduled for Monday, February 11th at 6pm. The boys Freshmen and JV basketball games at Pinconning have been cancelled for this evening (2/7/19). 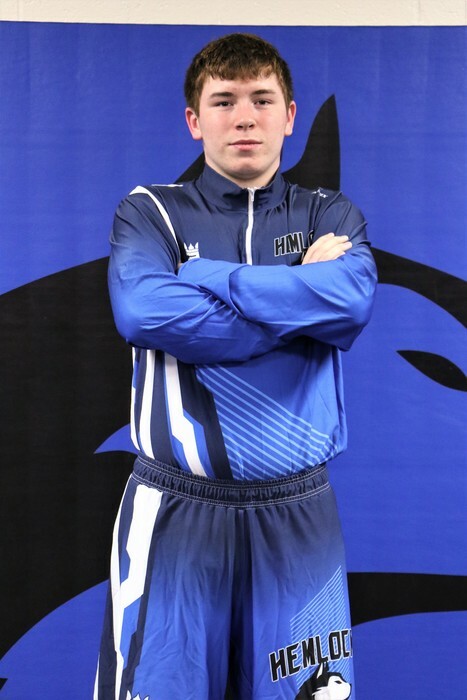 The Varsity Wrestling Team District at Ithaca has been rescheduled to Thursday, February 7th at 6pm. 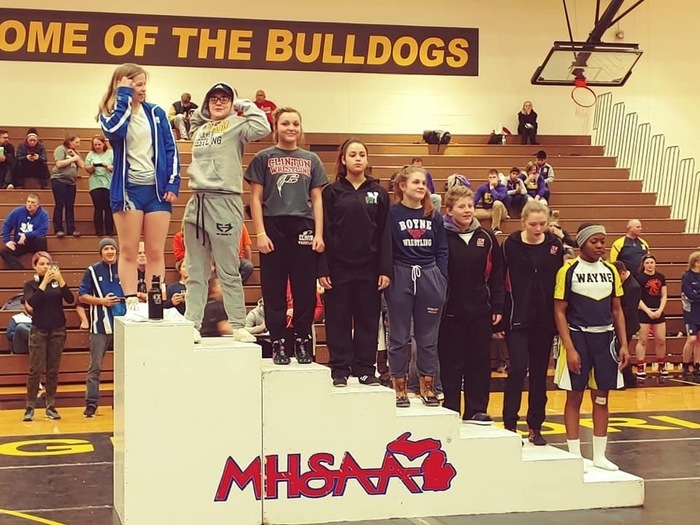 Congratulations to Varsity Wrestler - Bella Wazny! 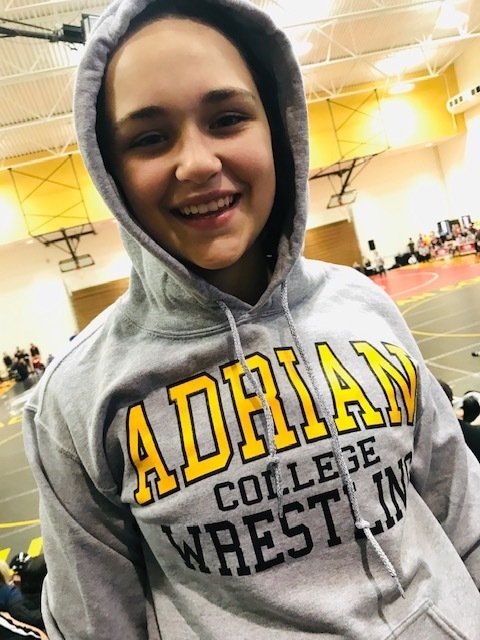 She was in a 14 person bracket at the Girls First High School State Championships at Adrian College this past weekend. 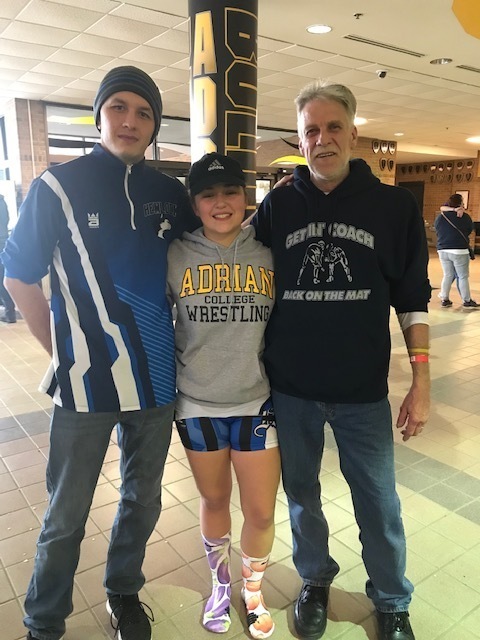 She was seeded first in her bracket and came out ALL STATE at #135, 2nd Place! Vote for Kylee Ryder! She is up for Saginaw Girls Basketball Player of the Week! 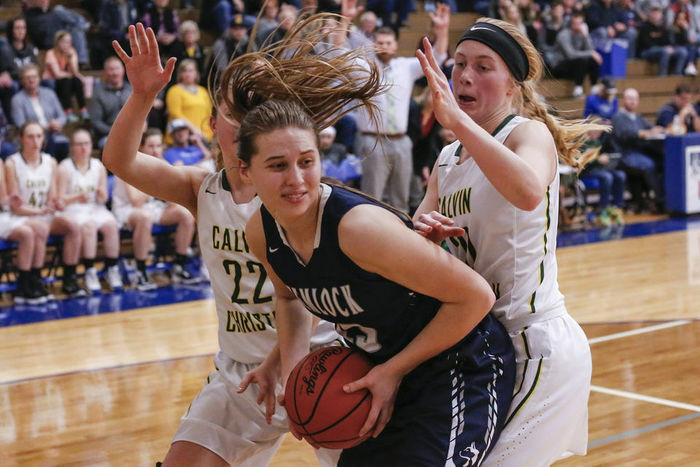 https://www.mlive.com/expo/sports/g66l-2019/02/9b700e5dcd4480/fans-can-vote-for-saginaw-girls-basketball-player-of-the-week.html?utm_campaign=saginawnews_sf&utm_source=facebook&utm_medium=social&fbclid=IwAR1EFKhu-FrZfDoTcXPZa1qBSkweqZOLsBXp1SdZjkvJ005T2DGJeGl8iTw Kylee Ryder had a double-double to lead Hemlock to a 45-28 win over Saginaw Nouvel. Ryder scored 11 points with 12 rebounds as Hemlock remains unbeaten. 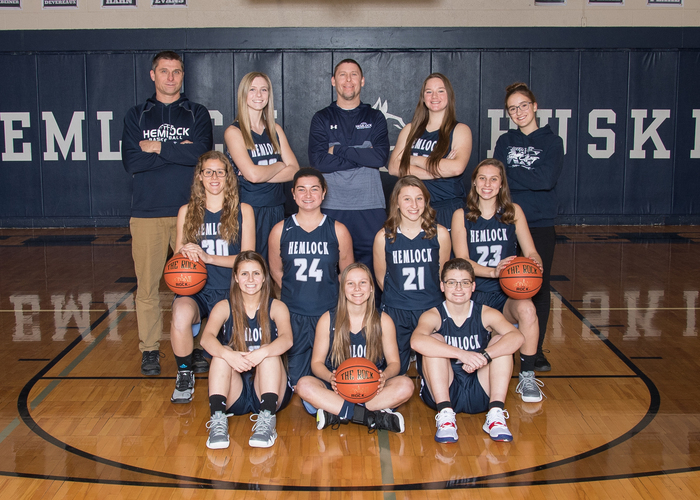 Did you know that the Hemlock High School girls basketball team is undefeated and is currently ranked 7th in the state. Come watch them tomorrow, take on Nouvel Catholic Central @ Hemlock 6pm. The wrestling meet at Swan Valley has been cancelled for today, 1/31/19. This was rescheduled from the original date of 1/30/19 at Shepherd. 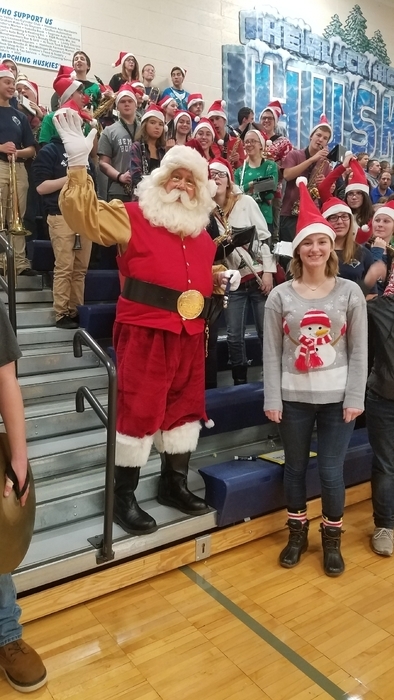 The Freshmen Boys, JV Girls and JV Boys Basketball games that were scheduled at Nouvel for this evening (1/30/19) have been cancelled. 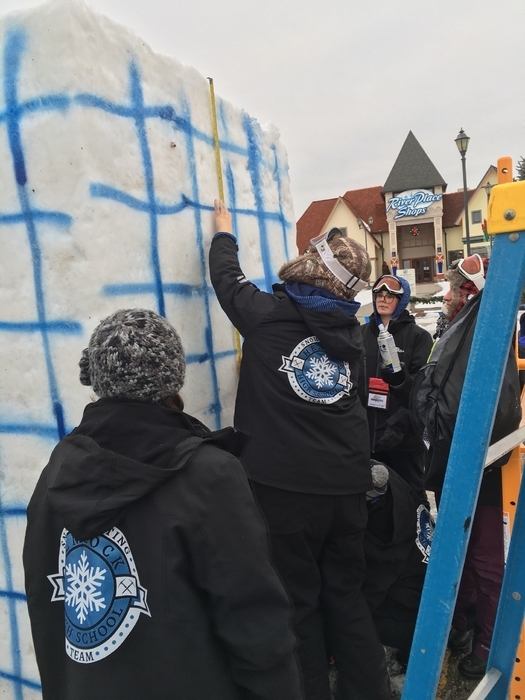 The Hemlock snow carving team claims first place AGAIN at the Zenders snow fest in Frankenmuth. 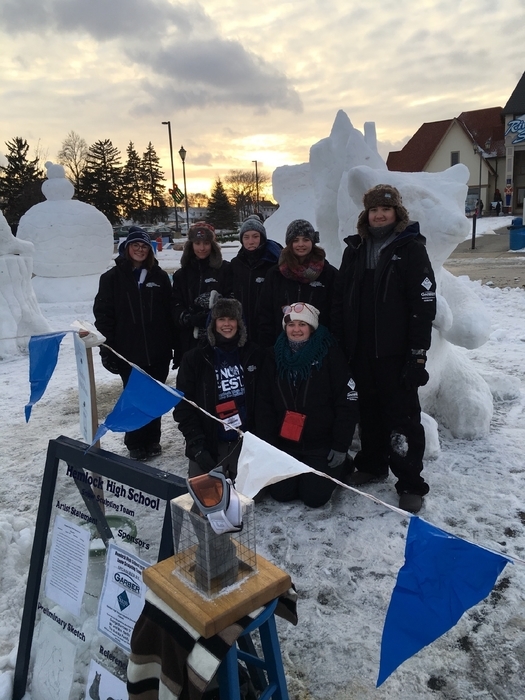 Great work, Hemlock is proud of our Snow Carving team. Good luck to our Hemlock Snow Carving team. 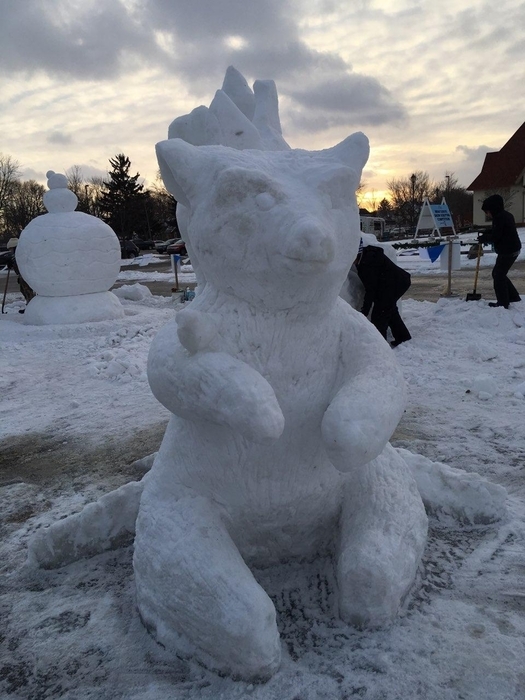 Please stop by the Zender's Snow Fest to see our students hard work. We roll with the punches right? Another ice day has made us alter the exam schedule once again. 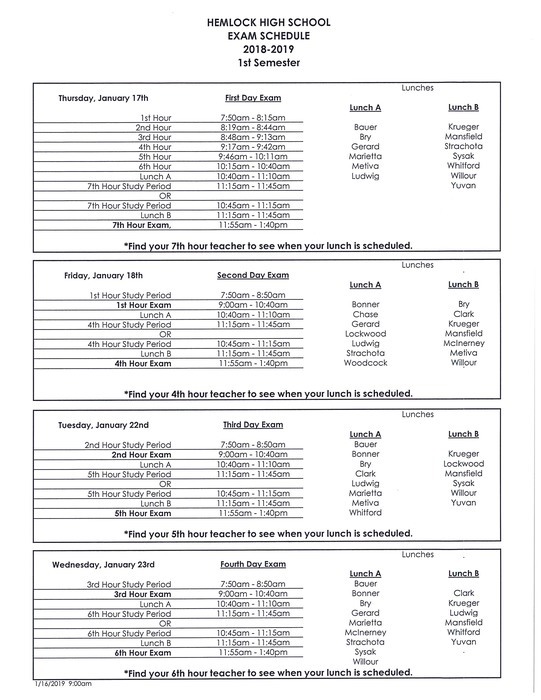 Thursday will be 7th hour, Friday will be 1st & 4th, Tuesday will be 2nd & 5th and Wednesday will be 3rd & 6th. Enjoy your day off! The girls basketball games scheduled in Gladwin for tonight have been cancelled. The boys games scheduled in Hemlock against Meridian are still on. Donations are starting to come in for Operation Shoebox. 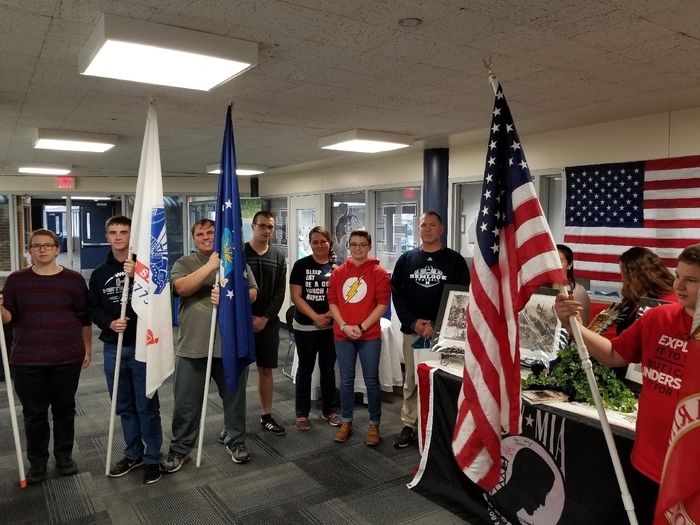 If you would like to donate, bring items to this Friday's Military Appreciation Night (basketball game) or drop them off at the high school office. For a full list, see www.operationshoebox.com. To clarify from previous message - Tonight's events: Freshmen Boys Basketball at 6pm and JV Boys Basketball at 7:30pm. Thank you! The JV Girls Basketball game vs. Shepherd has been cancelled for today. Therefore, JV Boys Basketball has been moved to a 6pm start time. 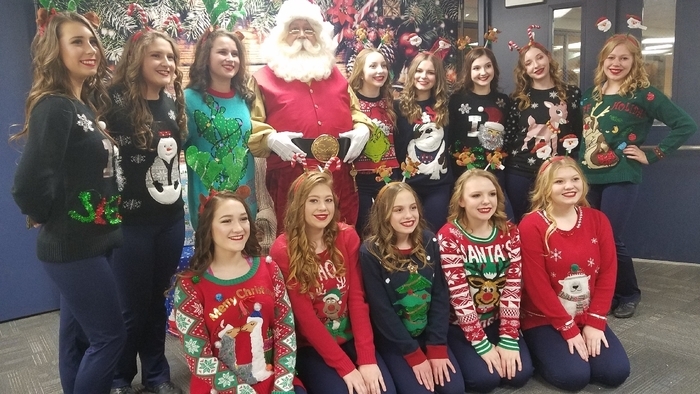 Our awesome pom pon team is very festive this evening. I can't wait for their performance tonight! 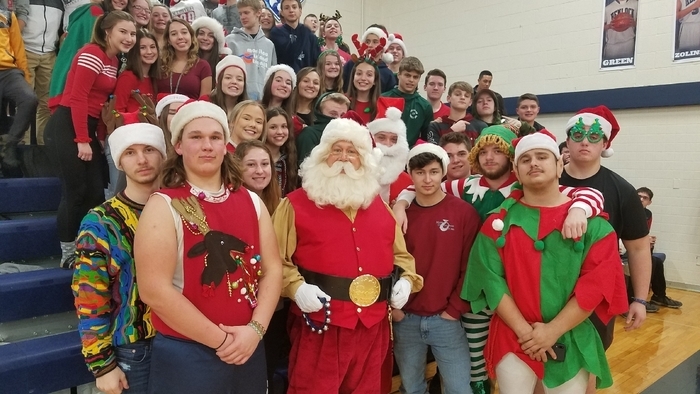 Santa and his Christmas crew! Good luck huskies! 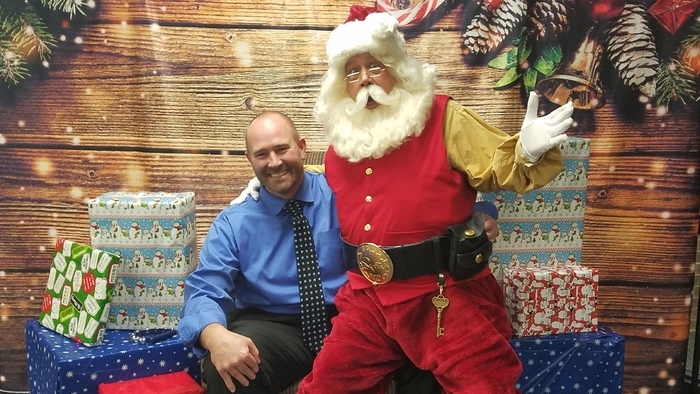 Mr. Green getting on Santa's nice list. 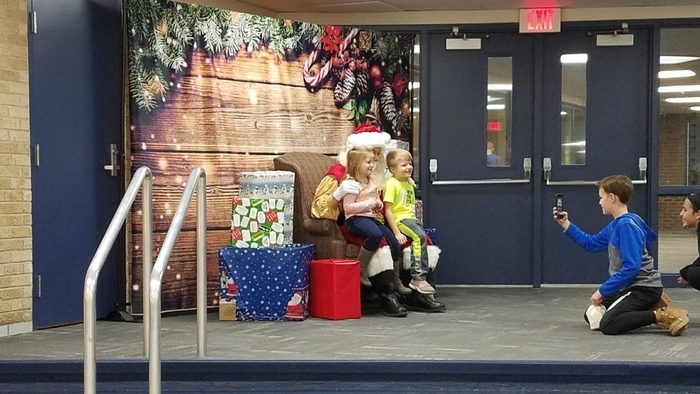 Santa is in town! He is here until 7:30pm. Santa Claus is coming to town! He will be here tomorrow 5:30-7:30pm at the high school. See him with admission to the basketball game. Cost is $5 per person or get in with your sports pass. Freshmen boys begin at 4:30pm followed by Varsity Girls at 6pm and Varsity Boys at 7:30pm. Nouvel just called and informed us that the time for the games tonight are different than usually scheduled. The girls game will begin at 5:30pm followed by the boys game at 7pm. Therefore, the bus will also leave earlier now at 4:30pm. Come cheer on the huskies at the wrestling invitational that is being held here this Saturday, December 8th. Wrestling begins at 10am. Go Huskies! The MS Girls Basketball games against Shepherd have been cancelled for tonight. 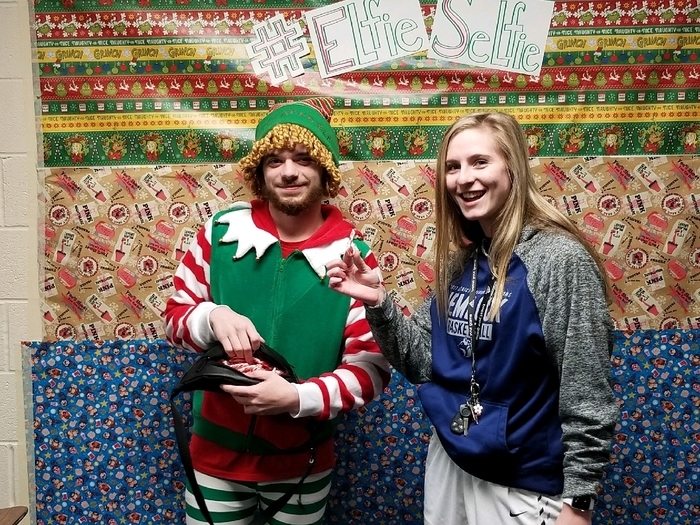 Enjoy your snow day! 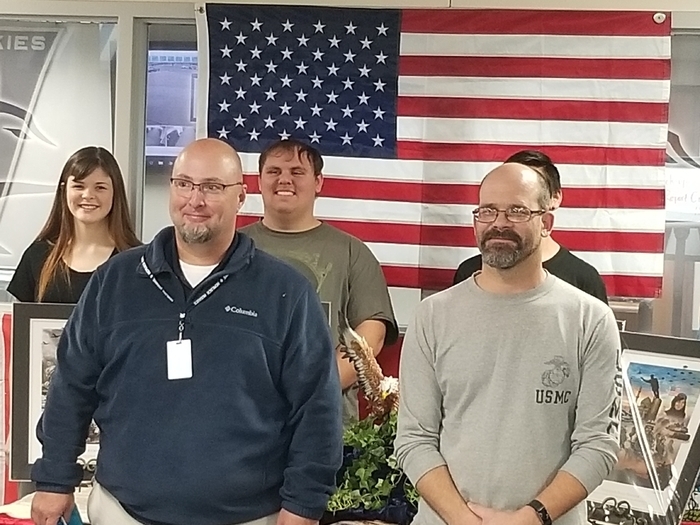 Mr. Walton and Mr. Yell Thank you for your service. 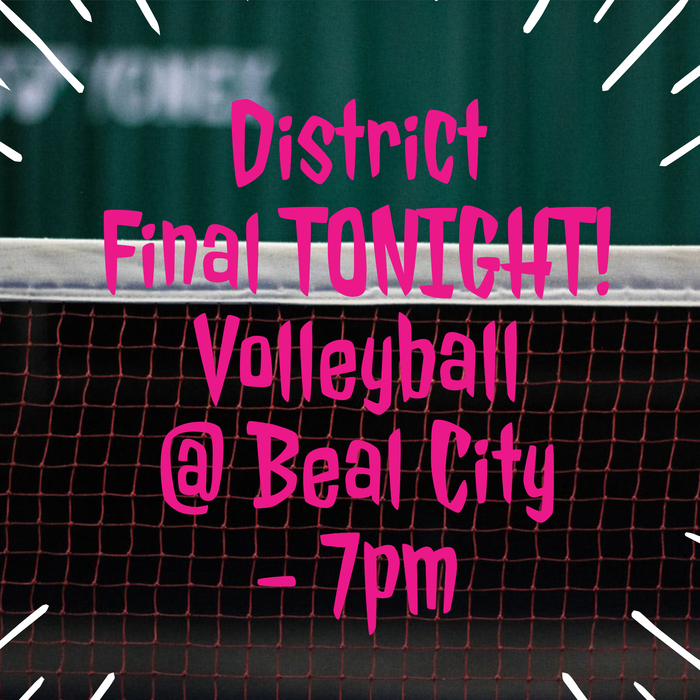 District Final TONIGHT for volleyball at Beal City. The Huskies take on Beal City at 7pm. Good luck ladies! Good luck to our Varsity Volleyball team tonight at Beal City! Game time is 7pm. They take on Montabella in the 2nd round of district play. Tickets are $6 per person. Good luck lady huskies! The volleyball team plays in the 1st round of the district tonight at 7pm. The game is home. Tickets are $6 per person. GO HUSKIES! 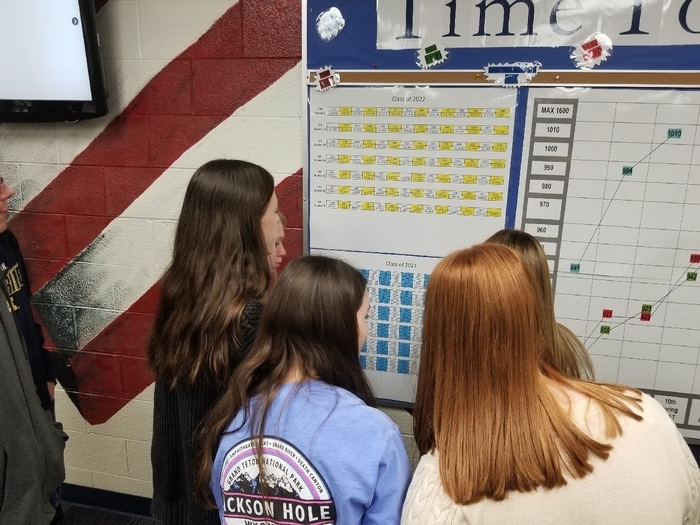 Winter sports schedules are now available online and in the app. Never miss a game, download individual games from the app to your google calendar. Can't make it to the football game on Friday? You can watch the game online at https://www.mdm-tv.com/. When you get to the site, click on "Click Here to Watch Us Live" tab and follow the prompts. Cost is $9.95. 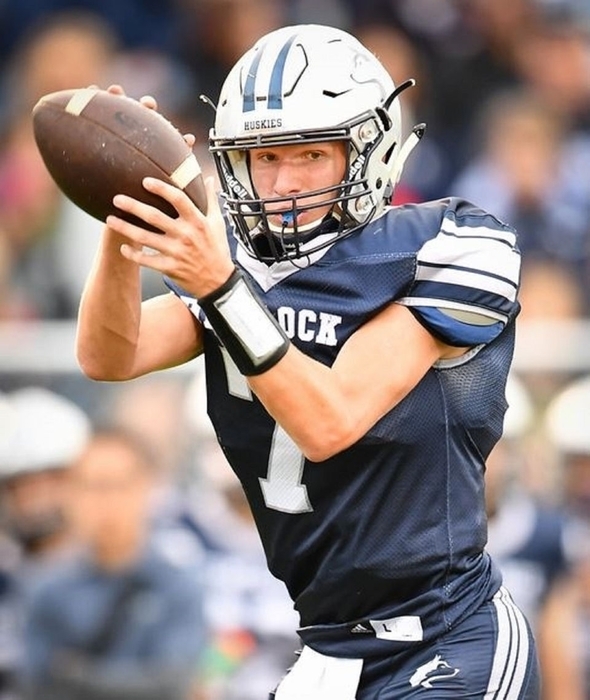 Playoff football tickets are available for purchase in the HS office. Cost is $6 per person. They will be on sale until Friday at 3pm. You can also purchase them as the gate. There is also a facility map to guide you. The game will take place this Friday at Montrose at 7pm. 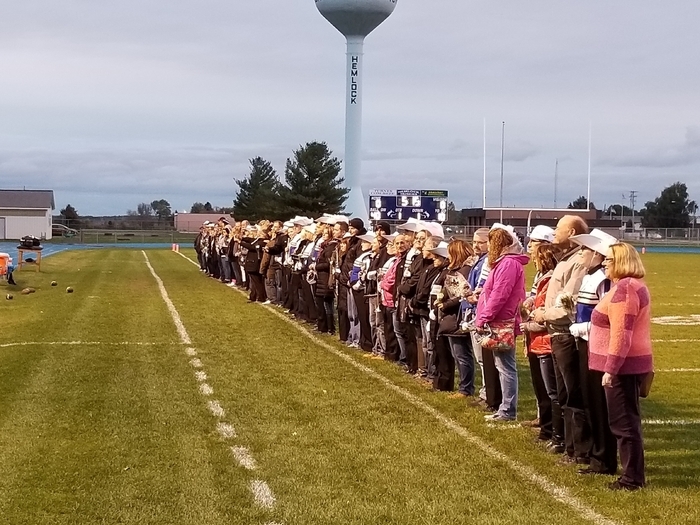 Hemlock Senior night. Thank you to our seniors and our parents for the many years of dedication to Hemlock Schools. 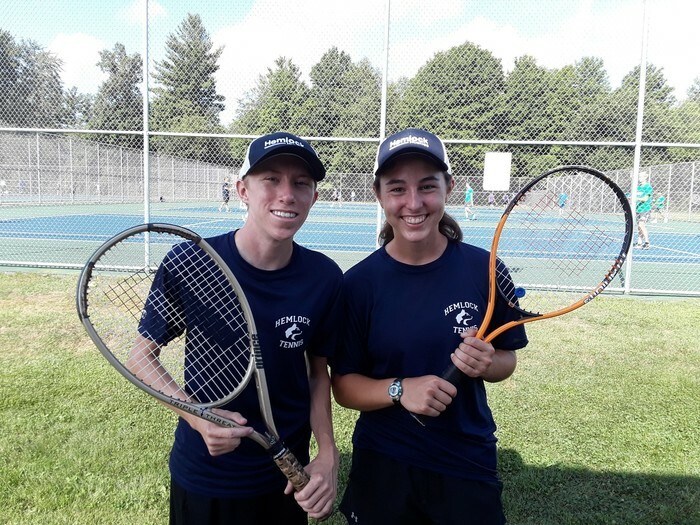 Hemlock Tennis Players talk with MLive earlier today. 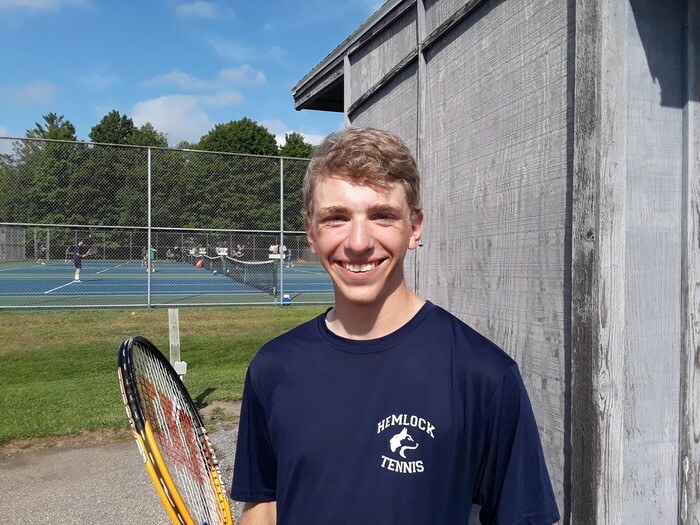 Hemlock Coed Tennis Qualifies for the State finals after fishing second at regionals. 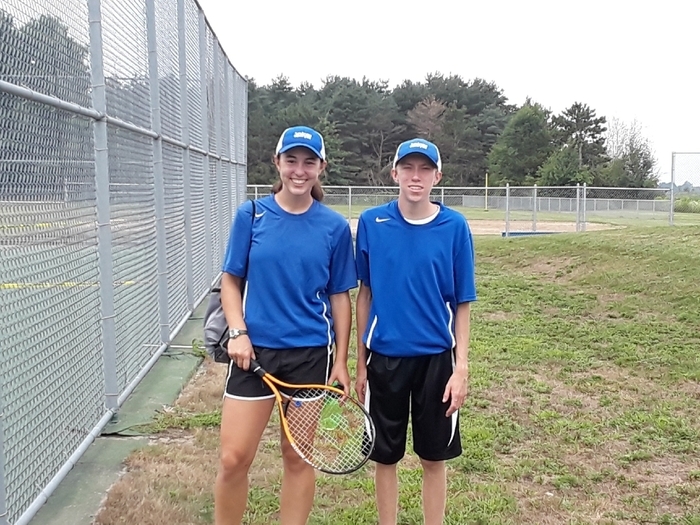 The tennis match at Bay City John Glenn has been cancelled for tonight. The weather is not cooperating today in order to play tennis. We have cancelled the home meet vs. Bay City Central today and will reschedule to a later date to be announced. Freshman girls Volleyball vs Gladwin has been canceled today. This message is from the Athletic Department. The Boys Tennis Match scheduled today, October 1st with Frankenmuth is cancelled due to inclement weather. Tennis has been cancelled today due to the weather. It has been rescheduled for Monday, October 1st at Frankenmuth. The varsity boys soccer game that was scheduled for today at SASA has been cancelled. SASA does not have enough players to field a team today. We have an update on this Friday's soccer games with Bay City Central. We will now be hosting these games here in Hemlock. Varsity will play at 4:30pm with JV to follow. Nouvel has notified us of a time change for this Wednesday's volleyball games. Freshmen will start at 4pm, JV at 5:30pm and Varsity at 7pm. The bus will now leave at 3:10pm. 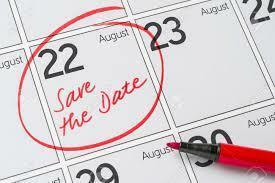 CC for high school and middle school has been rescheduled for Thursday, September 6th at Shepherd at 5pm. JV Soccer has been cancelled for today due to field conditions. The game at North Branch has been rescheduled for tomorrow. ALSO, the Varsity Football game tomorrow will be playing at Alma College instead of Ithaca due to field conditions. The JV Boys Soccer Team has been staying busy so far this August. Here are some of their game results: 17Aug2018 - The boys won their first game by a score of 2-1 against BC John Glenn. Andrew Prebay scored both goals for the Huskies with an assist coming from Clay Urbaniak. Clay also finished with 7 saves in goal for the first half. Cayden Stark had 6 saves in goal for the second half. 20Aug2018- The boys defeated Clare by a score of 2-1 Monday night. Andrew Prebay scored both goals and Clay Urbaniak contributed with 1 shot and 1 assist. Chayton Ross added 3 more shots on goal while Cayden Stark had 5 saves for the game. 23Aug2018- At Ovid-Elsie the guys played to a 1-1 tie. Andrew Prebay scored the only goal for the Huskies. Cayden Stark had 12 saves in Goal. 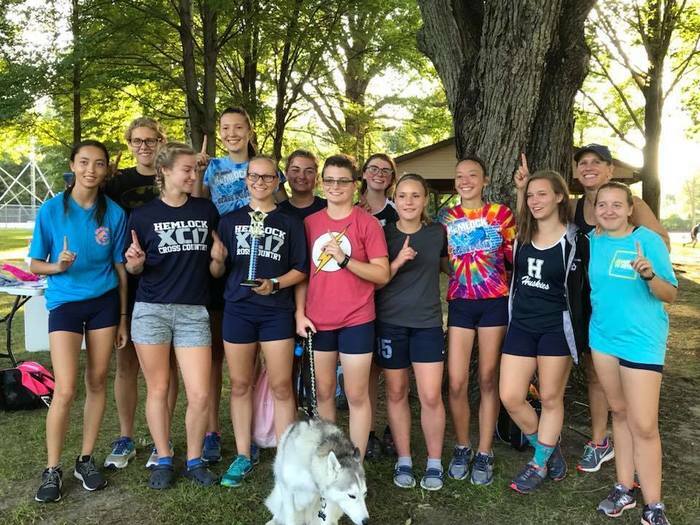 The girls CC team finished first in their division and seventh overall yesterday at the Birch Run Invite. 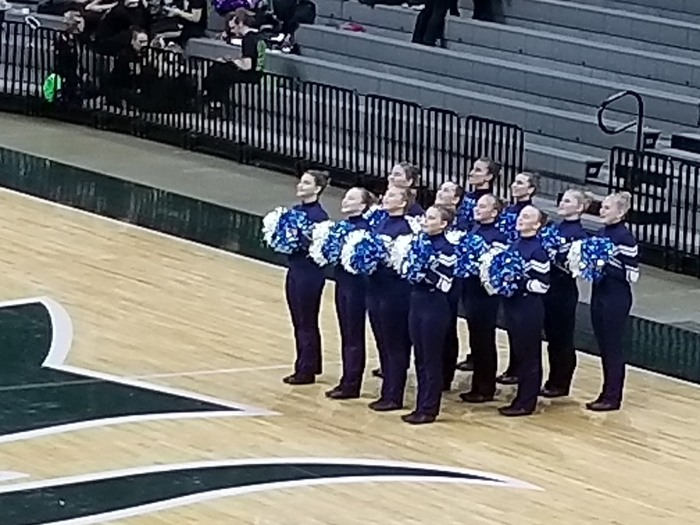 Excellent job Huskies!! 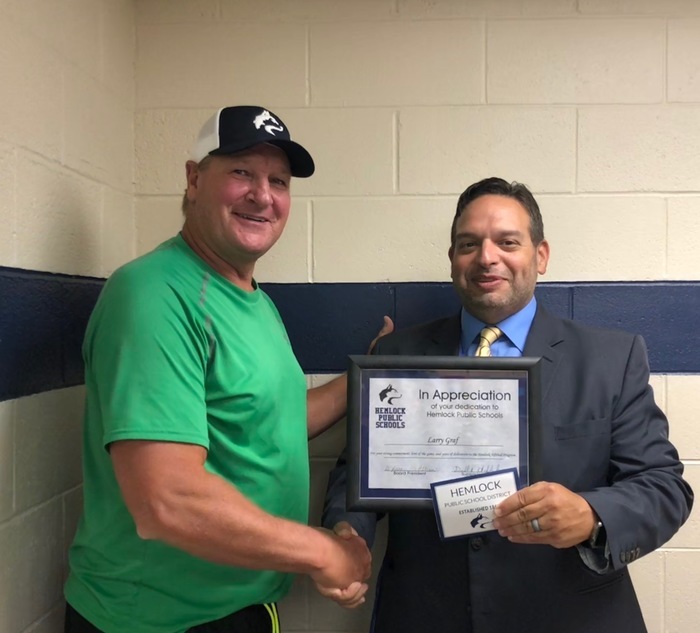 ​Congratulations to our Girls Tennis Coach Dean Rusch on receiving the honor of "Regional Coach of the Year".! 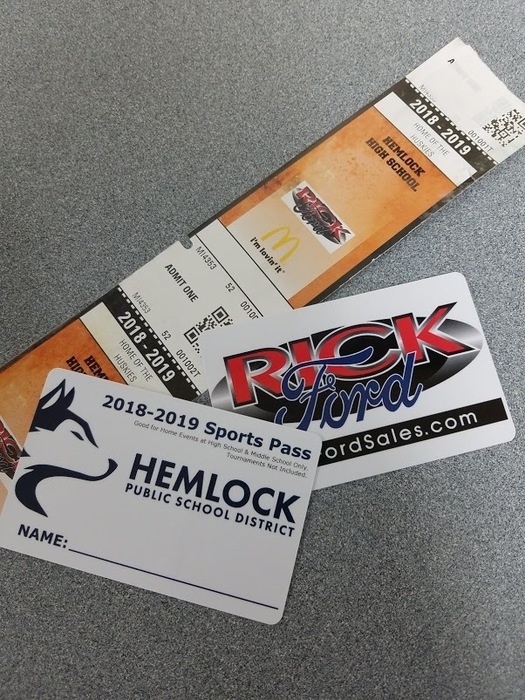 A BIG thank you to Rick Ford in Hemlock for sponsoring our sports passes & tickets for this year. Thank you to McDonald's also for sponsoring a portion of the tickets. Thank you! Thank you! Looking for something to do tonight? Come check out the Freshmen Volleyball team. They take on Meridian tonight at 6pm. Go huskies! 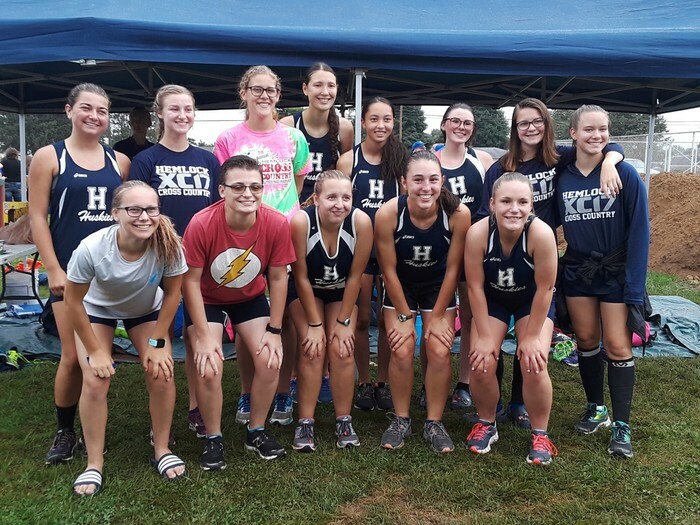 Our CC runners started out their season at the Annual Hemlock Classic this past Friday. 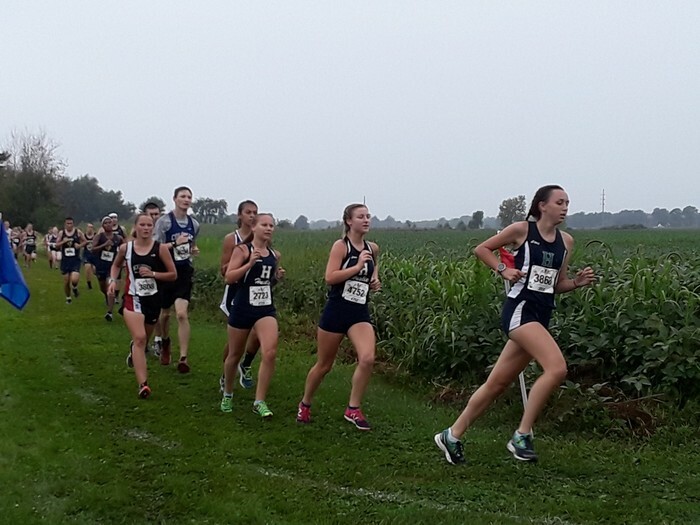 Some highlights were from Greison McLeod placed 5th, Cade Godwin 6th, Alaina Yuker 3rd, Emma Sollner 6th and Abby Grossmeyer 7th in their divisions. Tennis of course crushed it on the courts yesterday at the Heritage Invite. 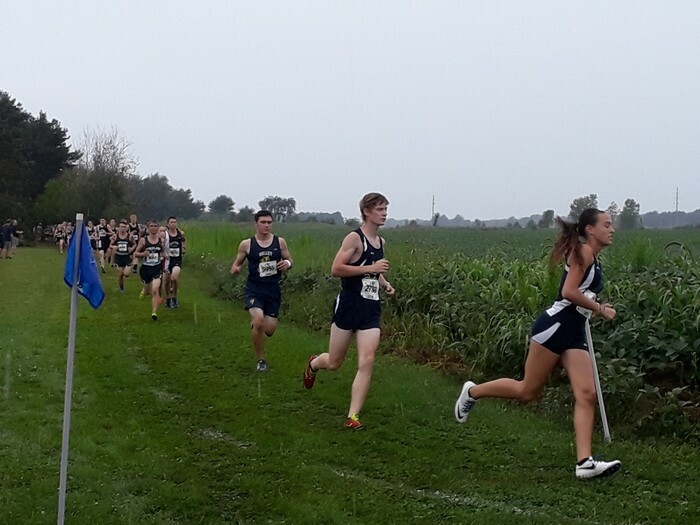 They had to endure a little rain, but powered through. 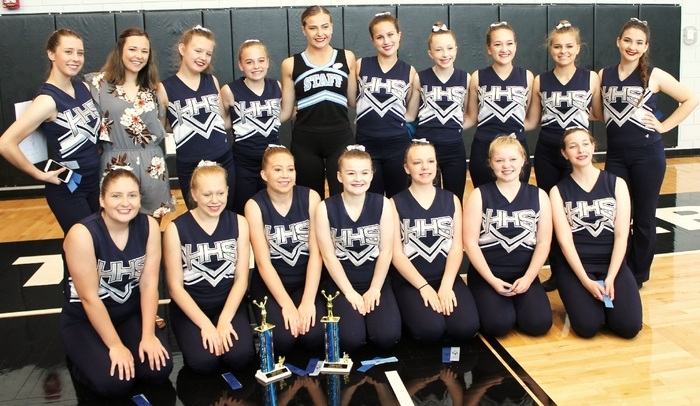 Way to go huskies! 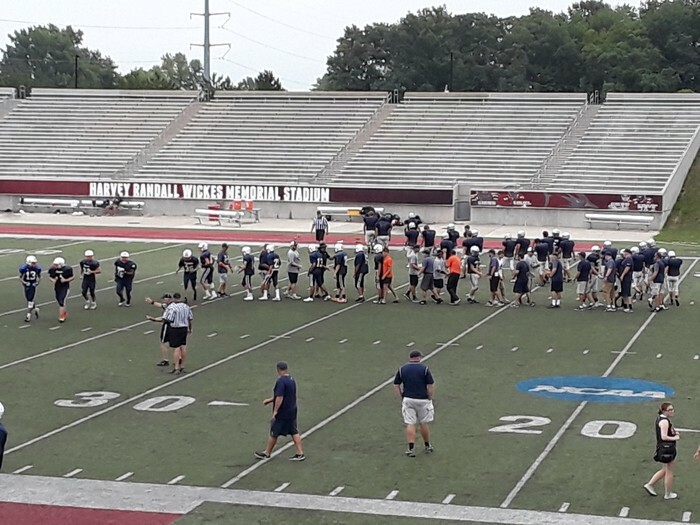 Varsity & JV football teams had scrimmages yesterday at SVSU & John Glenn. Both teams worked hard and showed great promise for the upcoming season. Great job boys! Planning on playing MS Volleyball this year? You MUST register with FinalForms and have a valid physical on file with the Athletic Office (HS) before Monday's practice. Both 7th and 8th grade will begin practice Monday, August 20th at the MS Gym from 3-5pm. Larry Graf Field naming event will take place Friday, September 7th at 5 p.m. Started the fall season out right with some tennis earlier today. Good job huskies! Coaches Needed: We are still looking to hire a Freshmen Volleyball Coach and a 7th Grade Volleyball Coach. 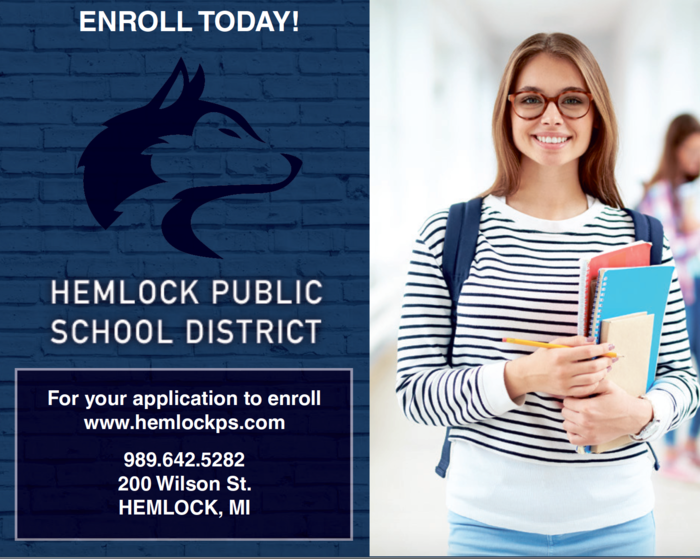 Please send your letter of interest to personnel@hemlockps.com. It's a great day to begin fall sports! 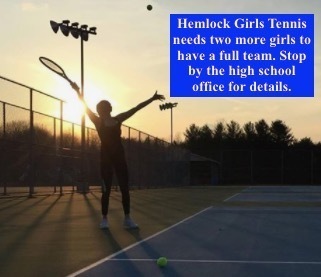 The varsity tennis team is looking for a few more players for the team. They will have try-outs tonight, Thursday and Friday at 7pm. Meet at the tennis courts by Ling. You must have a valid physical on file with the HS Office and register with FinalForms. If you have any questions, please contact galbraith@hemlockps.com. Varsity Tennis try-outs will take place Wednesday, Thursday and Friday at 7pm at the tennis courts. You must be registered on FinalForms and bring in a valid physical to the HS Office. Please contact galbraith@hemlockps.com if you have any questions. Hey there Huskies! We are coming up on the last full week before fall sports begin. So that means that you all have your FinalForms registration and sports physicals done, right? If not, you know what you have to work on this week. See you soon! 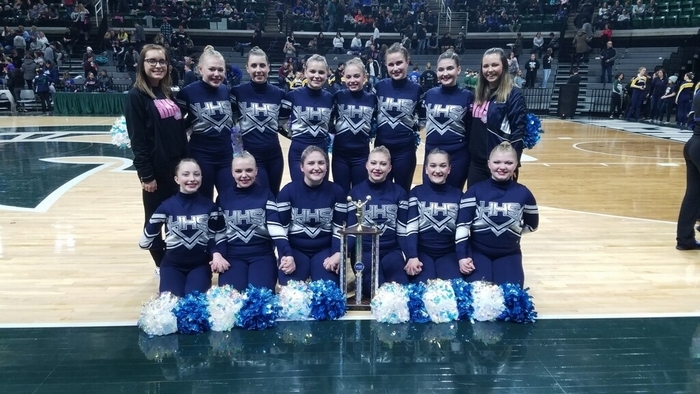 Hemlock Pom KICKS off the season with success. Congratulations on a great camp. The Varsity Softball game that was scheduled at Central Montcalm for today has been cancelled due to the weather. The middle school mega-star track meet has been postponed until June 5th. Baseball defeats Ithaca 4-3 and 12-1. Softball looses to Reese 3-2 and 5-2. Varsity Soccer won against Bay City Central 4-0. JV Soccer won against Bay City Central 4-0. Varsity soccer beat Ithaca 3-1. JV soccer tied with Bullock Creek 2-2. 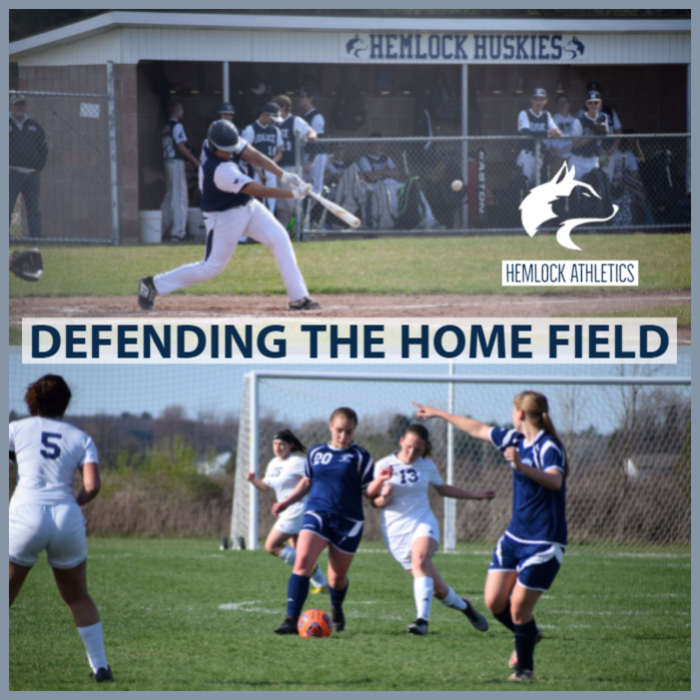 Hemlock Soccer mercied Shepherd 8-0 yesterday! Softball sweeps Valley Lutheran and baseball splits with Valley Lutheran. JV Girls Soccer game scheduled for Monday, May 21st vs. Clare has been cancelled due to injuries on the Clare team. MORE cancellations - V & JV Soccer cancelled for tonight at Bay City AND the Varsity Softball Tournament for Saturday. Varsity Baseball has also been cancelled against Ithaca today. JV Baseball has been cancelled for today at Ithaca. The Varsity Track Classic has been regretfully cancelled today due to the weather. Baseball and softball shut out Ovid-Elsie at home! Baseball 5-0 and 8-0. Softball 16-0 and 16-0. Go Huskies!! Varsity Track meet at Reese has been cancelled for today. Varsity Soccer has been cancelled for tonight at Pinconning. JV Baseball & JV Softball has been cancelled for today at Beaverton due to Beaverton's field conditions. Varsity Soccer time change for Friday at Pinconning. They will now start the game at 5:30pm and bus leaves at 4pm. Baseball sweeps St. Louis! First game 3-0 and second game 5-2. Go Huskies! JV Soccer at Clare has been cancelled for today. Varsity Baseball splits with Michigan Lutheran Seminary. Won first game 3-0 and lost second game 9-10 in 8 innings. Tennis has been cancelled for today and rescheduled for Thursday beginning at 3pm. This will be against Ovid-Elsie & Ithaca. Huskies sweep doubleheaders at St. Charles! Softball wins 13-3 and 13-1. Baseball wins 7-1 and 9-5. Go Huskies!! Finally some good news...tennis was able to get into the Heritage Teal Invite for tomorrow. It starts at 9am. Good luck lady huskies! Insert sad crying face emoji here. Another cancellation - Friday Tennis at Bullock Creek Lancer Invite. Status for events today - Tennis has been cancelled, Varsity Baseball has been cancelled, and Varsity Softball will play today. Good luck lady huskies! JV Baseball for Thursday at Valley Lutheran has been cancelled. Wednesday's athletic events have been decided early - V & JV soccer, V Golf and V Track have all been cancelled. The varsity girls tennis match that was scheduled for today has been cancelled. You guessed it, no sporting events will take place today. Enjoy your April snow day! JV Softball and JV Baseball at Caro has been cancelled for today. Varsity Baseball is still going to play at Swan Valley. Varsity Tennis for Friday, April 13th at Heritage has been cancelled. Golf is cancelled for today against Merrill, Chesaning & Breckenridge. 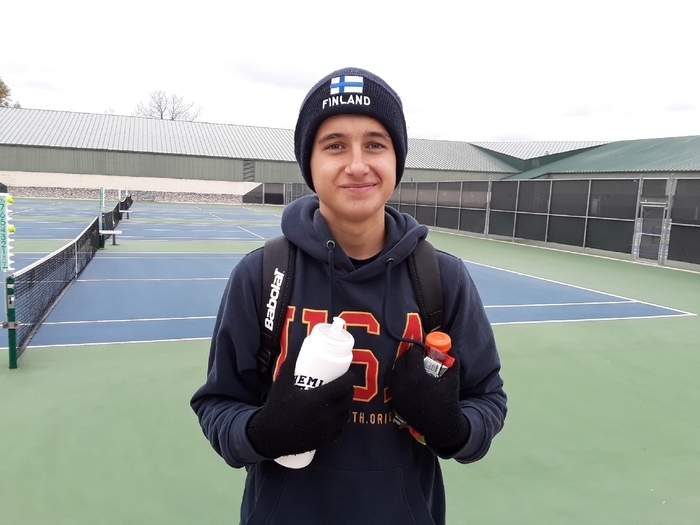 Tennis Re-Scheduled - The tennis match for today has been cancelled and re-scheduled for tomorrow against Frankenmuth. Cancellations - Varsity Baseball, Varsity Softball, JV Baseball, JV Softball & JV Soccer have all been cancelled for this evening. 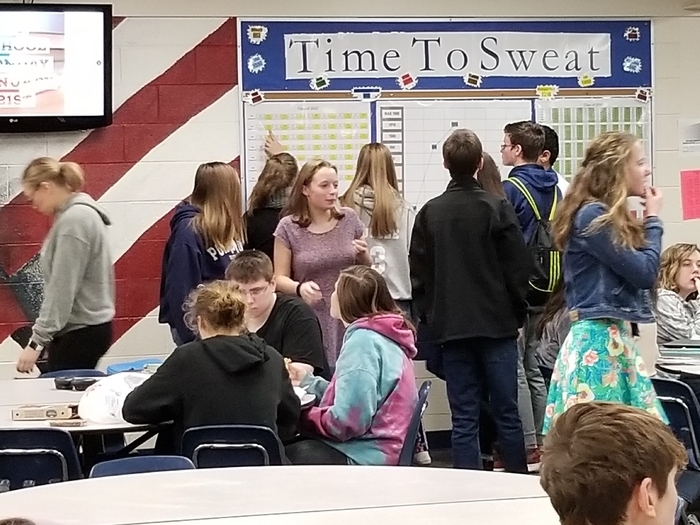 Another one bites the dust....the JV & Varsity soccer games that were scheduled for Friday against Birch Run have been cancelled. Maybe Mother Nature will be nicer next week. Varsity Baseball and Softball have been moved up a day. They will now play tomorrow, Thursday, April 5th at Swan Valley. JV is still scheduled for Friday as of now. Track meet at Freeland on Saturday, April 7th has been cancelled. Golf has been cancelled for April 5th due to the weather. 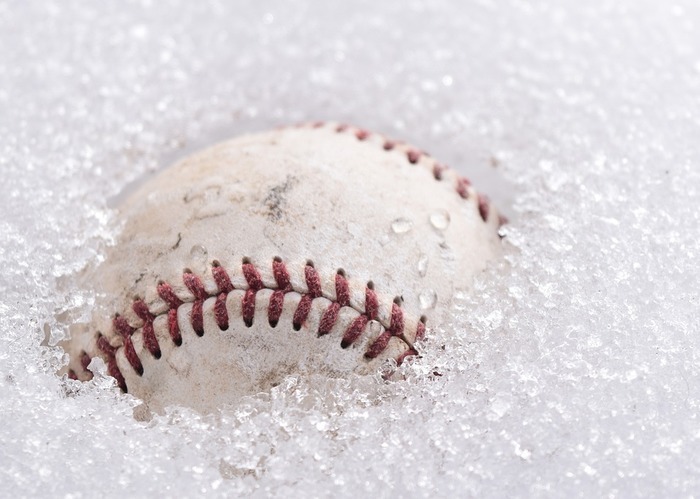 The baseball and softball games that were scheduled for today against Freeland have been cancelled. Enjoy the snow! District Final for boys basketball tonight at Breckenridge. Game begins at 7pm against Carson City Crystal. Go huskies! 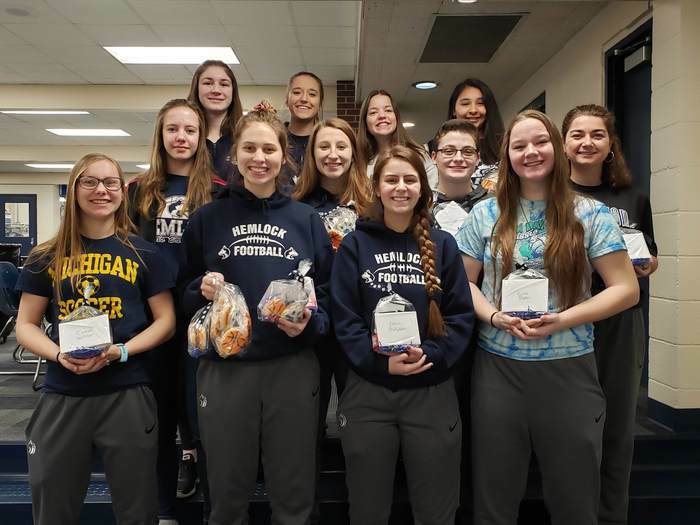 Good luck girls basketball at the Regional Final against Pewamo Westphalia! The game is tonight at 7pm at NorthPointe Christian in Grand Rapids. 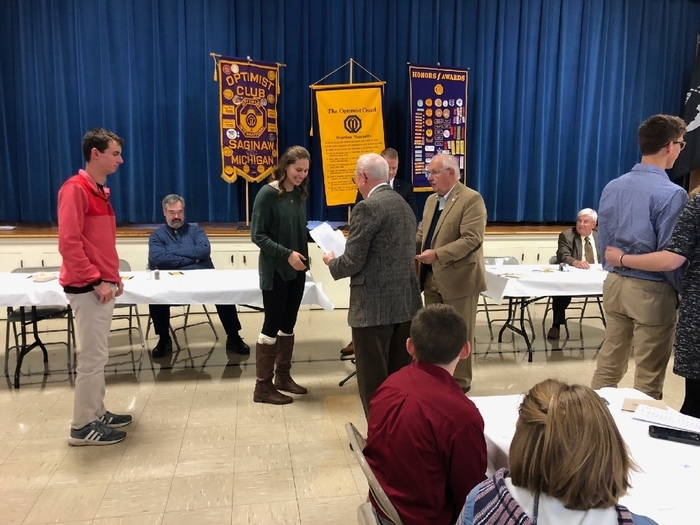 Congratulations to Alexus Knapik! 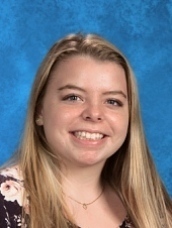 She qualified for the State Final at Lake Orion High School for Power Lifting. 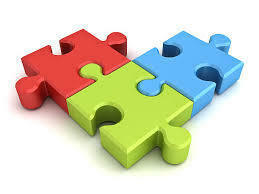 The competition takes place on March 9th. Visit the MHSPLA website for more info. Good luck to the boys basketball team as they take on St. Louis in the 1st round of district play. 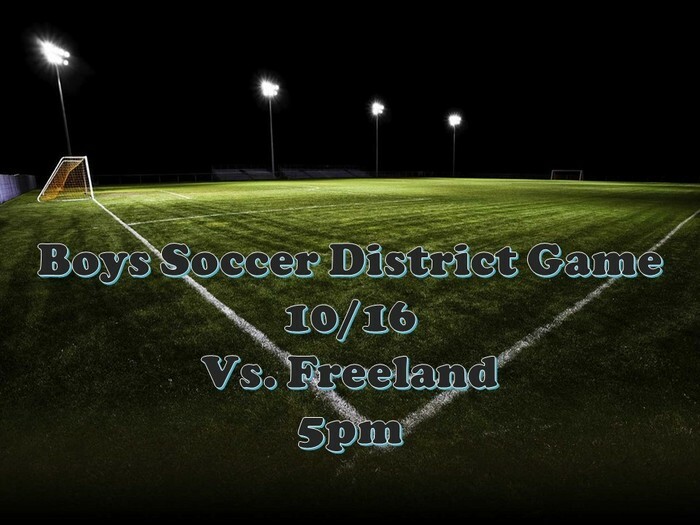 The game is at Breckenridge at 6pm tonight. 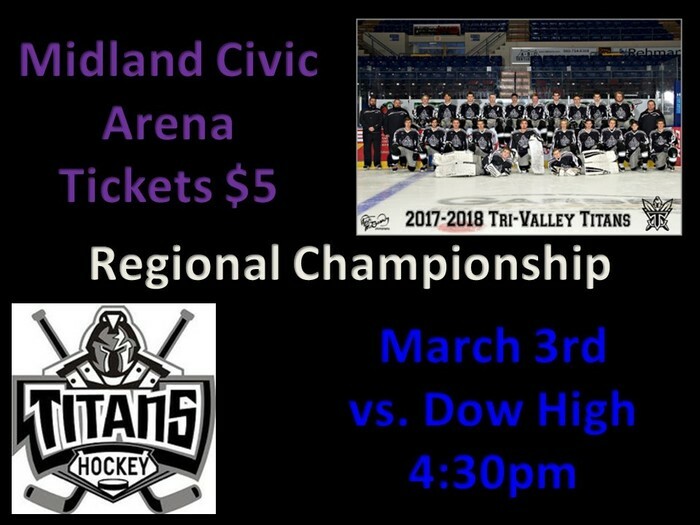 Good luck to the Tri-Valley Titans! 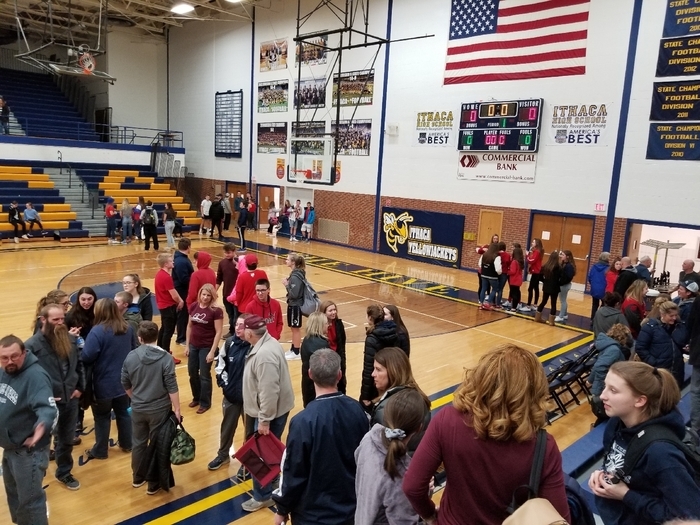 They will play in the Regional Championship game this Saturday at the Midland Civic Arena at 4:30pm against Dow High. Tickets are $5. Good luck to our lady huskies! They take on Carson City Crystal in the basketball district final at St. Charles this Friday. Game begins at 7pm. Go huskies! Congratulations to Zachary Smith! 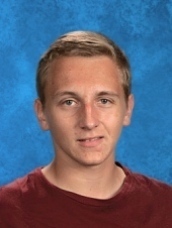 He qualified for the state final in boys singles bowling, Division 3. He will compete at Northway Lanes in Muskegon on Saturday. The JV basketball games will be played tonight at MLS. Girls are at 6pm and Boys at 7:30pm. Good luck huskies! Schedule change for middle school boys basketball. Monday, February 5th both teams will travel to Standish. On February 28th both teams will be home. These are A Only games. Thank you. Varsity girls and boys basketball games are on for tonight! Games start at 6pm at St. Charles. Tonight's basketball games at Pinconning have a different setup than normal. The JV girls will play first at 4:30pm, followed by Freshmen Boys at 6pm and then JV Boys at 7:30pm. Bus leaves at 3pm. JV Girls & JV Boys games vs. MLS are on for tonight. Also, Freshmen Boys will be going to Sanford to play. Good luck huskies! Middle School girls basketball has been cancelled this evening due to the weather. 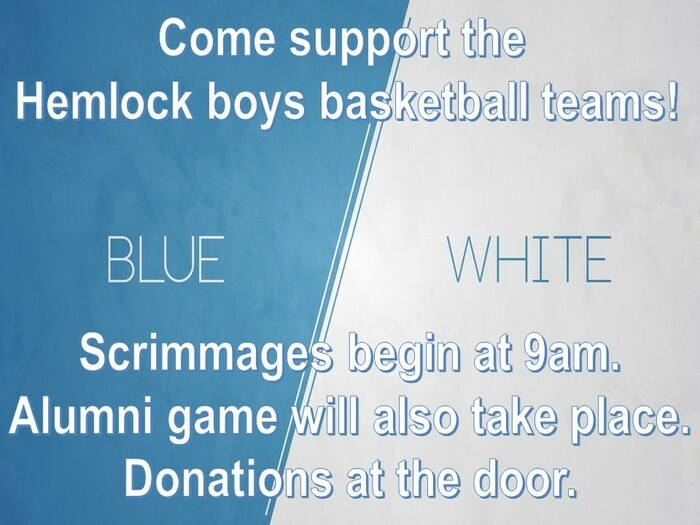 The Annual Blue & Whites games are this Saturday. The boys basketball teams and alumni will have scrimmages (HHS Gym) beginning at 9am. Goodwill donation at the door. 1st Round of District for volleyball is tonight! 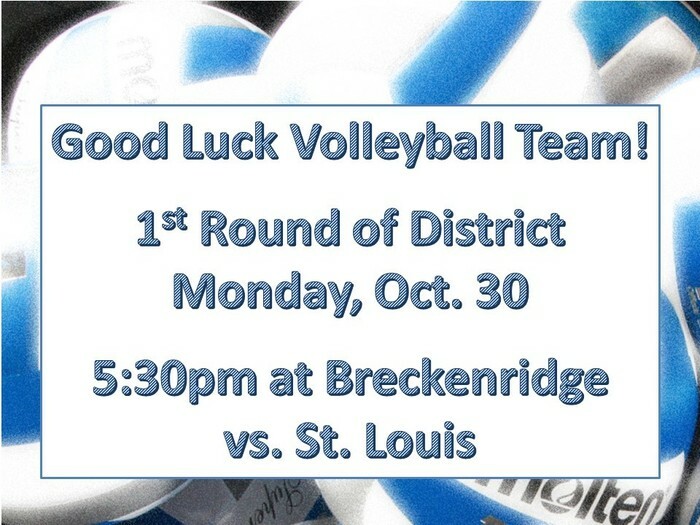 Come cheer on the ladies at Breckenridge at 5:30pm. They take on St. Louis. 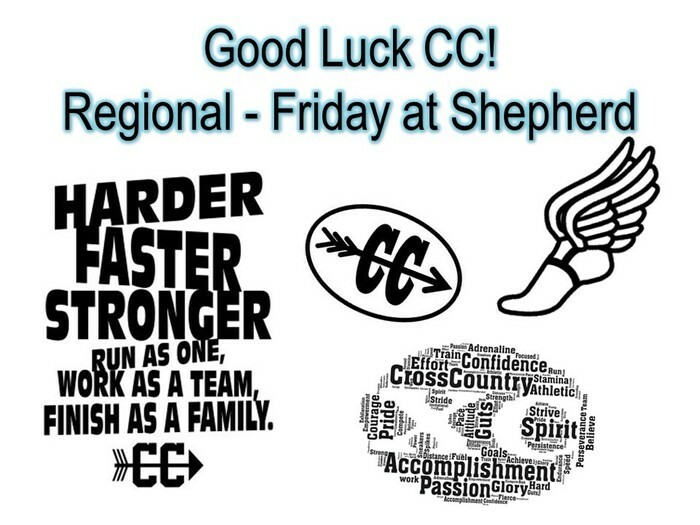 Good luck to our Varsity Cross Country team at the Regional in Shepherd today! Youth basketball registration opens Nov. 1st. 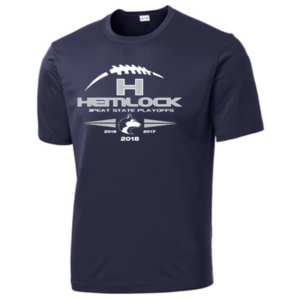 Go to www.hemlockyouthsports.com to get your student registered. Want to register in person? 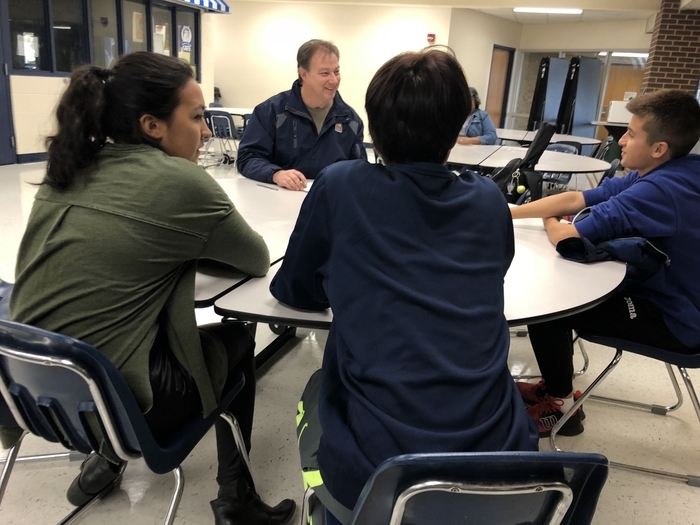 Meet at the middle school on Nov. 8th or 21st; 5:30-6:30pm. Congratulations to our Varsity Boys Tennis team! They took 3rd place at the Regional this past Friday. The team should be very proud of all their accomplishments this season. Great job huskies! It's going to be a great night for soccer! 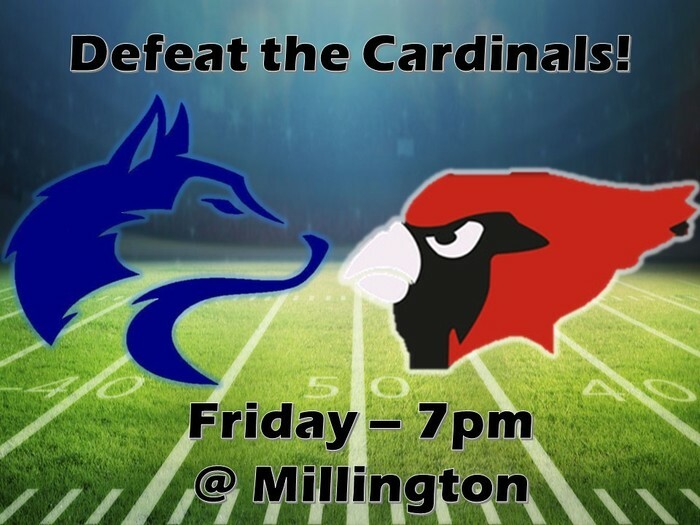 Come and cheer on the Huskies in the district first round against the Falcons. Game starts at 5pm. Remember - No passes are allowed. 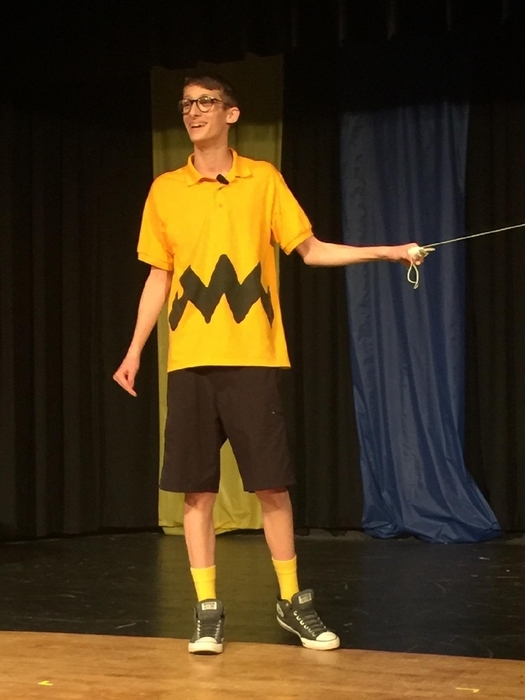 All tickets are $5. 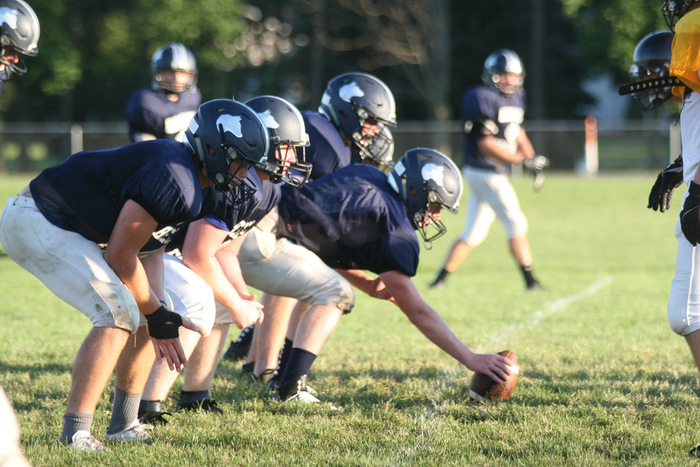 Good luck to our football teams this evening as they travel to SVSU to take on Vassar. JV starts at 5pm with Varsity to follow. Go huskies! 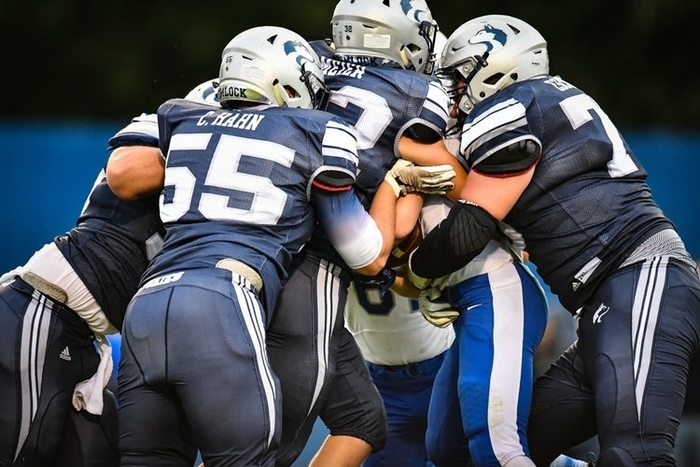 8/12 is the Annual Blue & White football scrimmage. It will begin approx. 10:30am. Picnic will follow. Expect the scrimmage to consist of primarily varsity athletes. Go huskies! 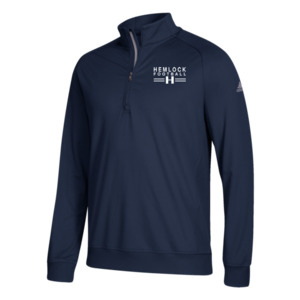 Football Apparel for Sale! Deadline to place your order is Wednesday, August 9th.